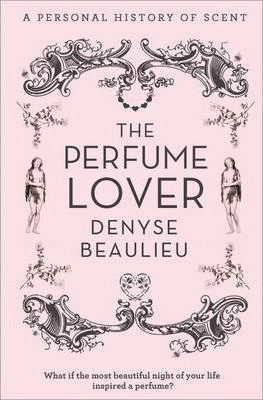 The Perfume Lover by Denyse Beaulieu is an intimate journey into the mystery of scent. What if the most beautiful night in your life inspired a fragrance? Denyse Beaulieu is a respected fragrance writer; it is her world, her love, her life. When she was growing up, perfume was forbidden in her house, spurring a childhood curiosity that went on to become an intellectual and sensual passion. When Denyse tells a famous perfumer of a sensual night spent in Seville under an orange tree in full blossom, wrapped in the arms of a beautiful young man, the story stirs his imagination and together they create a scent that captures the essence of that night. This is the story of that perfume. The Perfume Lover is an unprecedented account of the creative process that goes into composing a fragrance, and a uniquely candid insider's view into the world and history of fragrance. Your world will never smell the same. "Femme fatale Denyse Beaulieu undresses the art of perfumery with a sensual, scintillating striptease." "A uniquely personal-even intimate-story of a love affair with perfume and with Paris. Chatty, gossipy, and charming, THE PERFUME LOVER draws aside the veil on the secret world of scent." "A gorgeous romp through the history of perfume and a personal exploration of its role in Beaulieu's life as a woman and world class sensualist ... A thoroughly delectable and passionately intelligent read." "Written with wit and passion, insight and elegance. I read if first with interest and then again, for pleasure." Denyse Beaulieu is a Paris-based fragrance writer and industry consultant who established herself as one of the foremost bloggers in the field with Grain de Musc. She has learned the principles of perfume composition with the help of some of the profession's most prestigious noses. Her expertise has been acknowledged by at the London College of Fashion where she teaches an intensive "Understanding Fragrance" course and the Societe Francaise des Parfumeurs where she is lecturer. She was born in Canada, where she first started as a writer by covering the punk rock scene for local magazines, and moved to Paris 25 years ago to do her Ph.D. at the Universite Paris VII on the Marquis de Sade.